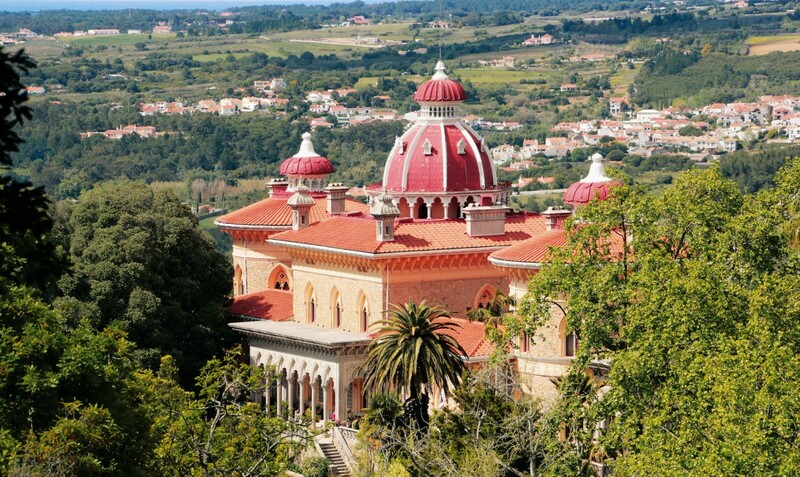 It’s not exactly a secret that Sintra is filled with gems. The entire place has been recognised by UNESCO for its incredible beauty and cultural significance, and it’s been quietly captivating visitors for centuries. 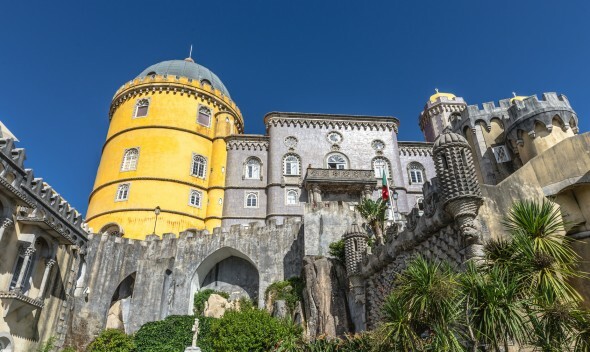 But alongside the most frequented sites – like the inimitable Pena Palace, the mystical Quinta da Regaleira, and the deeply historical Castle of the Moors – Sintra also holds a treasure trove of other gems that often get overlooked by travellers. 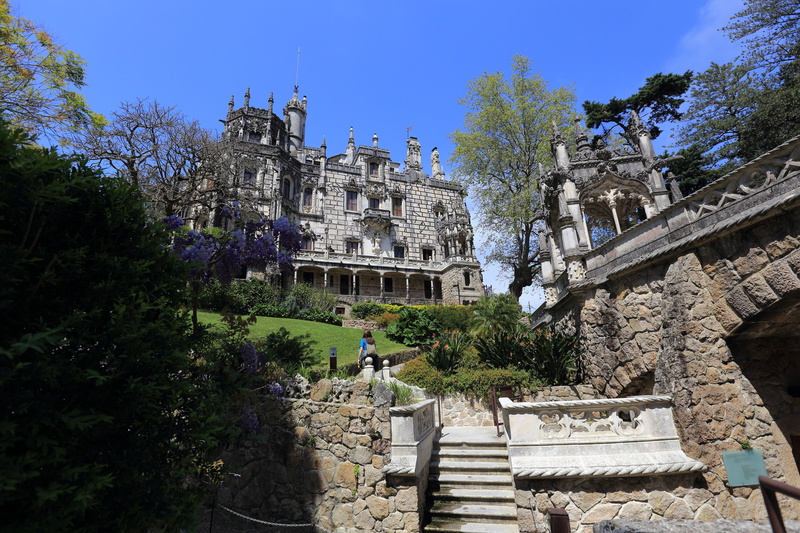 Part of the reason is, of course, that there’s so much to see in Sintra you need time to get around it all. If you can fit in a visit or tour to these lesser-known spots, do give them some attention. You won’t regret it. If you suddenly found yourself at the center of Azenhas do Mar, you’d probably look around and see it as just another charming Portuguese village, not particularly distinct from any other. There’s a kind of gestalt principle at work here: the whole is definitely greater (and more photogenic) than the sum of the parts. Step just outside the town and view it from afar and you’ll see a beautiful sight: a tiny town of white-walled houses all cupped within the crook of a steep cliff. The ocean batters the rocks at the cliff’s base. Beneath the town is an inlet that forms a small but pristine swimming beach. What Azenhas do Mar lacks in size, it makes up in loveliness. 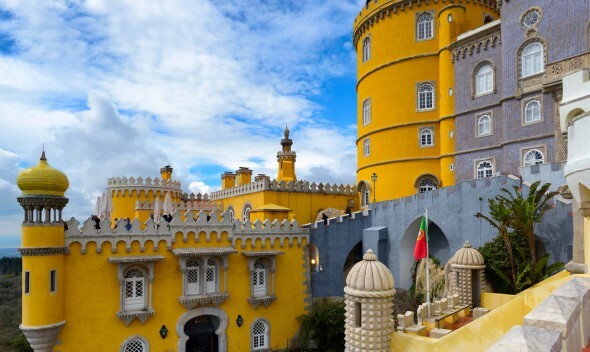 Many tourists miss it because of its location on the coast of the Sintra national park, on the opposite side to all the palaces. Also on the coastal side of Sintra, a little further south than Azenhas do Mar, sits Praia da Adraga, a remote and picturesque swimming beach that’s ripe for exploration. The sands here are clean and expansive, the waters clear and blue. Part of the beach’s charm is its rock formations, with sea stacks, caves and naturally-formed archways providing a beautiful backdrop and making the area worthy of a visit even beyond the swimming season. 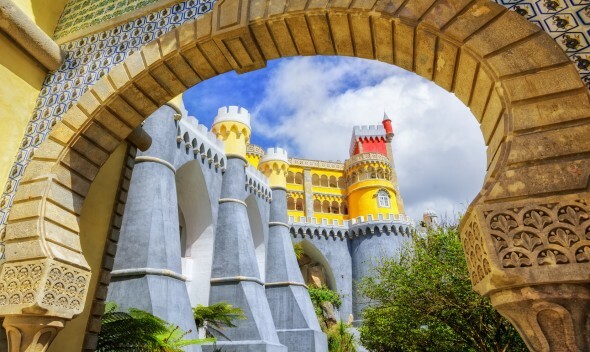 This incredible viewpoint can actually be found within the grounds of Pena Park, but it warrants the title of one of Sintra’s best hidden gems none the less: visitors to Pena often visit the palace and miss out on this tucked-away point in the gardens. 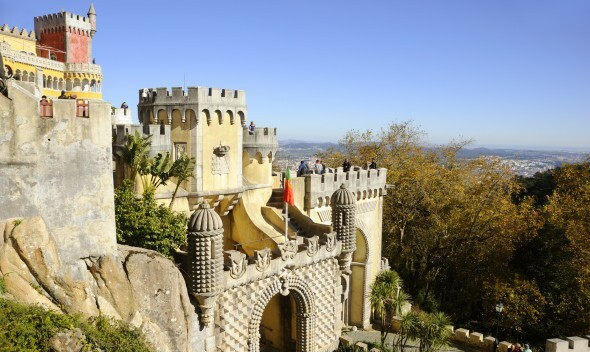 Sitting 529 metres above sea level, Cruz Alta is the highest point in the Sintra mountains. 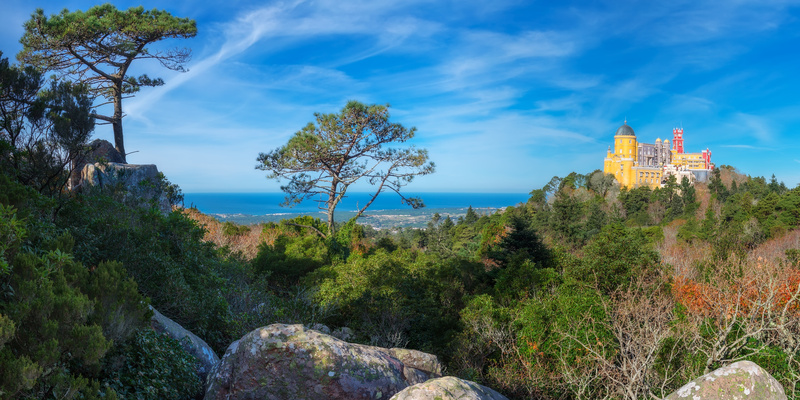 From its peak (marked by a stone cross, hence the name) you can see vast panoramas of forest and ocean stretching away on all sides. 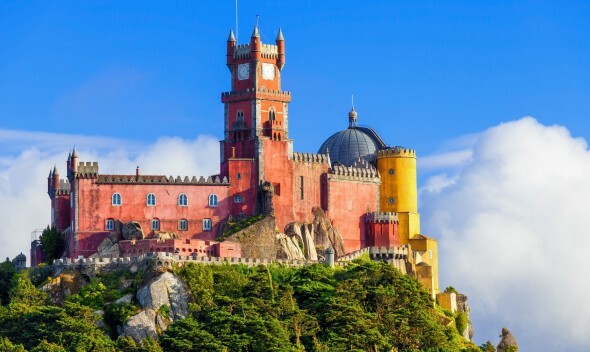 Just over one kilometre from Cabo da Roca – Europe’s most westerly point – lies Praia da Ursa, another stunning beach of the Sintra coastline. Praia da Ursa is flanked by sharp, towering rocks and sheer cliffs, making it simultaneously a little difficult to get to (you must go on foot) and very much worth the effort. The origins of this ancient rock formation are still something of a mystery, but scientific sources hold that it’s a tomb dating back to the megalithic period. As is typical of a dolmen structure, it’s formed of a large flat horizontal capstone supported by two vertical megaliths. The mossy stone structure is difficult to access and its solitude only adds to the mythical atmosphere of the spot. 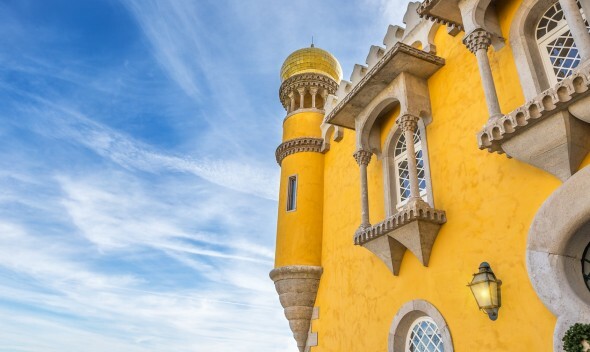 If you enjoy hiking, and want to pay a visit to an ancient archaeological site, be sure to add the Adrenunes Dolmen to your list of place to visit in Sintra.